TORONTO, May 11, 2017 – Avanti Computer Systems Limited, a leader in Print MIS solutions, today announced the certification of Avanti Slingshot’s connectivity with Kodak Prinergy Business Link software. The company made the announcement at the Kodak GUA conference at Ryerson University in Toronto, where they are demonstrating their Avanti Slingshot integration with Kodak Prinergy pre-press workflow. 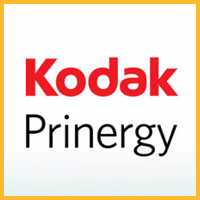 The automated, bi-directional integration between Avanti Slingshot and Kodak Prinergy Workflow eliminates the manual entry of information. This includes job details as well as collection of costs, updating of status, adjustment of inventory, and linking of files. Information is sent, received, and stored in one location – the Avanti Slingshot Job Manager. This ensures real-time visibility and eliminates costly errors associated with manual data entry between departments. “By integrating Prinergy Workflow’s digital press management with the proven advantages of Avanti Slingshot’s print MIS platform, we’re enabling more commercial printing customers to realize the financial benefits of automation,” said Allan Brown, Vice President and General Manager of Kodak’s Unified Workflow Solutions Group. The integration capability is available immediately.